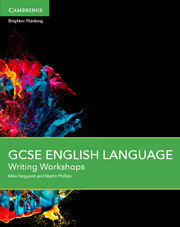 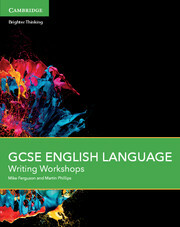 Specifically written for the AQA GCSE English Language specification for first teaching from 2015, this enhanced digital resource is designed for students targeting the higher grades. 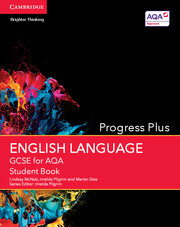 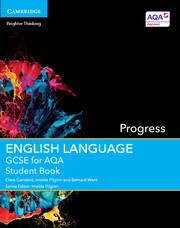 With progress at its heart, this differentiated resource covers a range of 19th-, 20th- and 21st-century texts and has spelling, punctuation and grammar support integrated throughout. 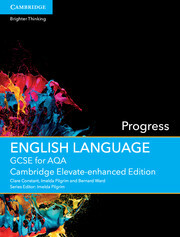 The Cambridge Elevate-enhanced Edition includes rich video content, interactive questions and online assessment and progress tracking, and is available online and on tablet devices through the Cambridge Elevate app. 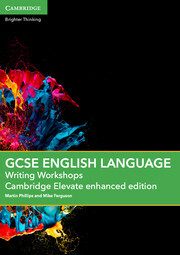 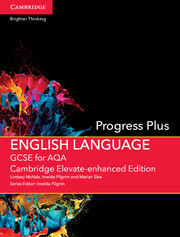 CambridgeElevate enhanced editions are fully customisable and interactive, with extensive annotation and bookmarking tools making texts more accessible for students.